Led by CABE and the Home Builders Federation, Building for Life is the the "national standard for well-designed homes and neighbourhoods". "Good quality housing design can improve social wellbeing and quality of life by reducing crime, improving public health, easing transport problems and increasing property values. Building for Life promotes design excellence and celebrates best practice in the house building industry." 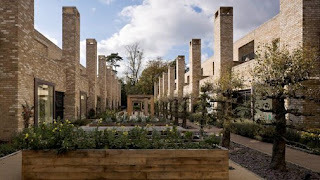 Have a look at the Accordia housing scheme in Cambridge, which has been the highest scoring scheme yet: video here and transcript here; images and explanations here.